A Montana native, Trent has an increasingly rare work ethic and positive attitude that is contagious. Growing up in an active outdoors family took Trent many remote places and laid the foundation for a lifetime of memories. Annual fishing trips into the Bob Marshall Wilderness on the family horses was always a highlight of the summer and led to a passion for sharing these experiences with others. 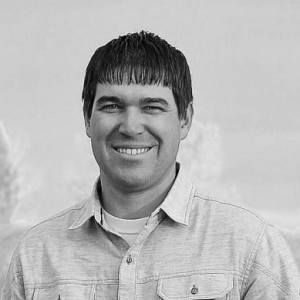 Born and raised in the Flathead Valley, he attended Montana State University in Bozeman and graduated with degrees in Business Management as well as Entrepreneurship and Small Business. Passion for the mountains called loudly after graduation, leading Trent to obtain his professional hunting guide license as well as Backcountry First Responder certification. Over the next several years he guided hunters in the Lee Metcalf Wilderness and took an integral role managing the hunting operations on both the Sitz Ranch and Rice Angus Ranches. The off seasons of each year found him running his own construction company involved in projects from entry-level homes to custom homes and luxury build-outs in the Yellowstone Club. With a passion for serving people and a knack for finding positive solutions, Trent brings a special skill set to his role as a realtor. Constantly driven to provide more value, Trent obtained his Broker license in 2017, is a member of the Realtors Land Institute, the Land Broker Co-Op and in pursuit of the national title of Accredited Land Consultant. With a client-centric approach, Trent is an early riser and works tirelessly until the job is done (almost always with a smile). Whether you have a legacy property that is ready to transition to the next family, or this is the first purchase of a long-term plan, Trent is ready and able to partner with you as his next valued seller or buyer. With a fervent commitment to provide the highest value and extraordinary service to his clients, Trent brings integrity, determination and consistent performance to achieve outstanding results.